The notion that the yellow color symbolizes something bad, have sunk into oblivion. Today yellow is the symbol of summer, sunshine, good mood, wealth and prosperity. Everyone finds something different in this bright Sunny color. Yellow accents in clothes and interior of your home will give you a good mood, a sense of warmth and coziness. Shades of yellow very much. If you can't find the one you need, try to cook yellow paint yourself and make your life brighter tone. Please note that to obtain a yellow dye by mixing several colors of another color will not work. The yellow pigment is basic, you should buy or get a hold of it and already on its basis to make a yellow dye. Pigments can be natural and artificial. Want to dye fabric for clothing or home textiles, then you can buy ready-made pigment in hardware stores or art shops. But craftswomen, for whom the process is important, can cook clean and durable paint from natural products and plants, which include yellow pigment. If you treat them, then go in search of any of these plants: vasconic, bearberry, buckthorn, cornflower plasty, Rue, zolototysjachnik, odnorodnykh, wormwood, barberry, Jellinek, mignonette yellow – they are the natural repository of the yellow pigment. If you managed to get one of these plants in fresh form, it is first necessary to dry. To this end, the tufts of plants need to hang on a rope in the shade on the fresh air. When it dries, grind it. The smaller, the better. Now the crushed material need to allocate the same yellow pigment. To do this, pour the plant with rainwater or river water, put on fire and cook, occasionally pouring a new portion of water. Need to cook until until the water is no longer colored. Then you should evaporate the remaining water to make a thick paste-paint. After it settles a while, miss weight through a sieve, covered with a piece of cloth. Yellow paint finish. If we talk about natural mineral pigments, you can make a yellow dye-based ochre (one of the most common natural pigments) or natural Siena (clay yellow pigment like ochre). Several yellow mineral pigments that you can use: orpiment, jarosite, wulfenite, goethite, limonite light. To prepare this paint is very simple. Selected yellow pigment to grind with white base. For a basis we can take the lime, acrylic, dispersed or oil paint. 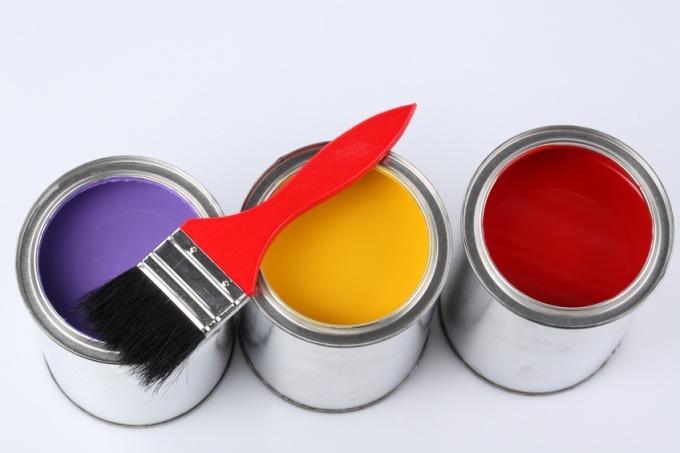 The same paints are suitable for painting of solid objects and surfaces finishes.